Who says February is a no-fun month? 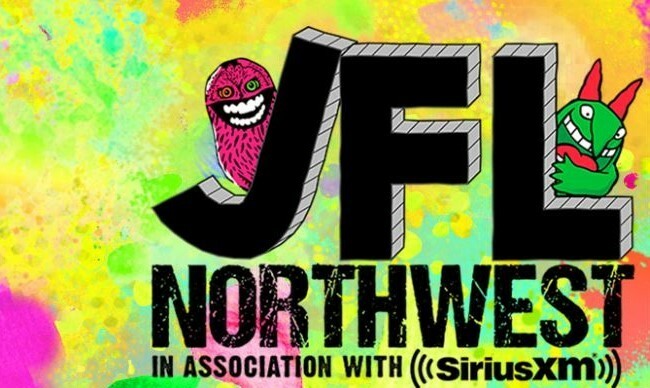 We argue it’s the most fun – especially during Vancouver’s JFL NorthWest comedy festival. You’ll laugh, you’ll cry (from laughter), you’ll laugh again. So get ready to roll in the aisle when some of the world’s best known comedians come to town February 14 – 23. From stand-up comedy shows to podcasts, improv and sketch performances, this is the comedic Best of the West – and The Burrard is a proud sponsor! Now in its fourth year, the festival has drawn the likes of Ken Jeong, Whitney Cummings, Gabriel Iglesias, and Michelle Wolf to Vancouver, along with hometown heroes Seth Rogen and Evan Goldberg as it sprawls across 20 venues in the city for over 100 shows with 180 artists. The festival has also expanded to include a Film Festival and 3-Day Block Party in the heart of downtown. Watch Just For Laughs Gags playing on a big screen along with games, music, food trucks and even a special guest or two. Also known for our big personality, The Burrard is proud to be a supporter of the event! Book a stay in one of our colourful, retro-chic rooms during the festival using the code JFLNW19 and you’ll get and receive a special rate plus a few goodies to greet you when you check in! Photo Credit: Just For Laughs website.